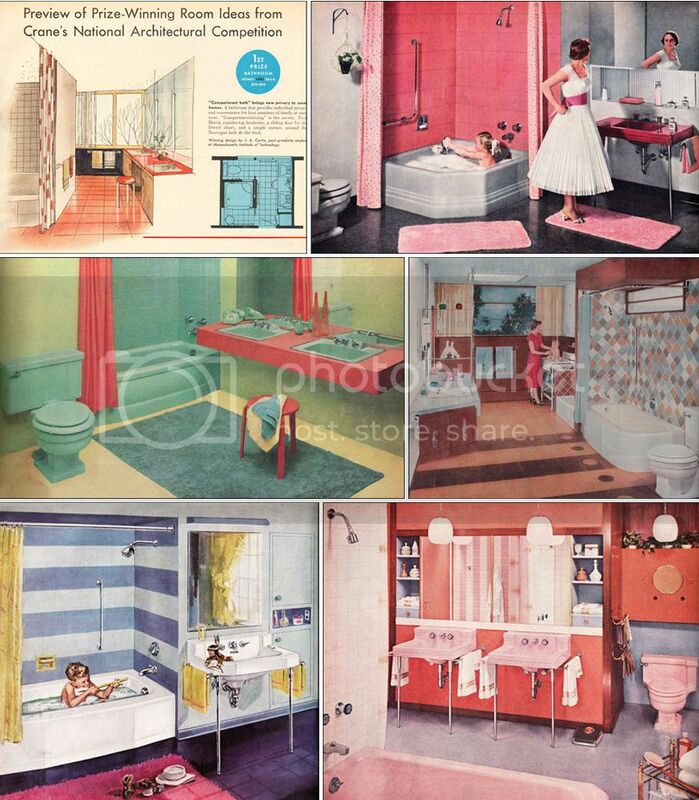 Last year, when we started the exhaustive local search for our own MCM home, I started searching online for any resources I could surround myself with. Because we ended up with a project house, instead of an immaculate time capsule, I needed to decide every single detail of the house - from lighting and flooring, to countertops & closet door styles. Our builder had never done this sort of renovation, so it was really up to me, which I actually loved. In my search, the obvious ones like Retro Renovation popped up, but then one caught my eye, that I still pop into today. 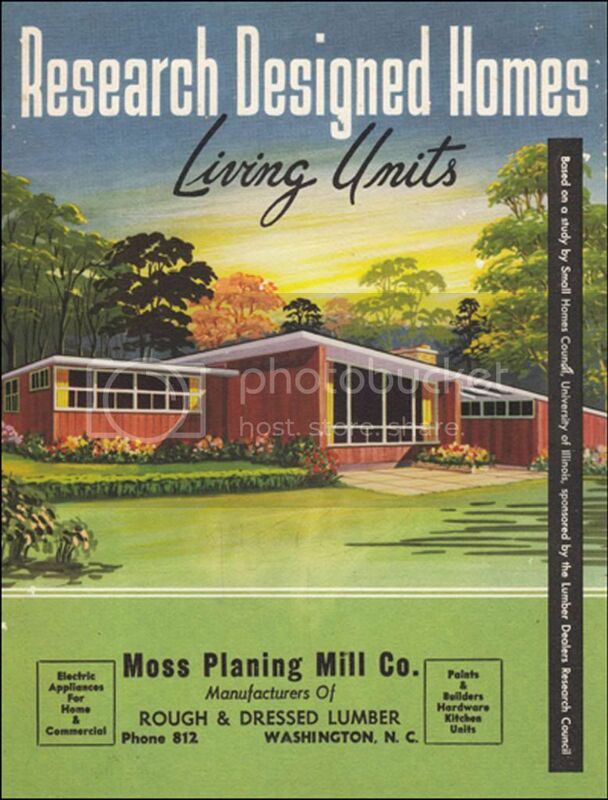 Mid Century Home Style (they do not hyphen mid-century in their title) is set up like a magazine. I'm not sure if many people read this, as it's more online magazine, instead of blog, so there is not any user interaction (comments), but it's a great, fun resource if you enjoy looking at retro literature. If you haven't come across this in your search, go now. Right now, it looks like it's currently displaying their Autumn 2013 V., No. 4. issue It's a pretty detailed website - so take some time to dig in! My favorite part of it are the home plans, naturally. 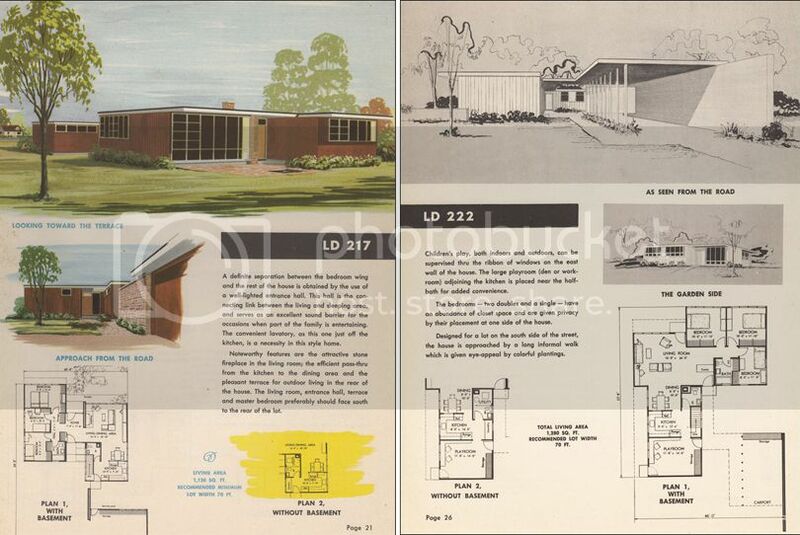 I especially like the plans from 1951 including LD-217 & LD-222 (images above). And LD-205 is pretty awesome too. The 1960's living rooms are quite awesome too. And the gallery of 1950's kitchens. The entire website is based on 1940's-50's-60's style focusing on advertisements and literature - don't miss this resource!